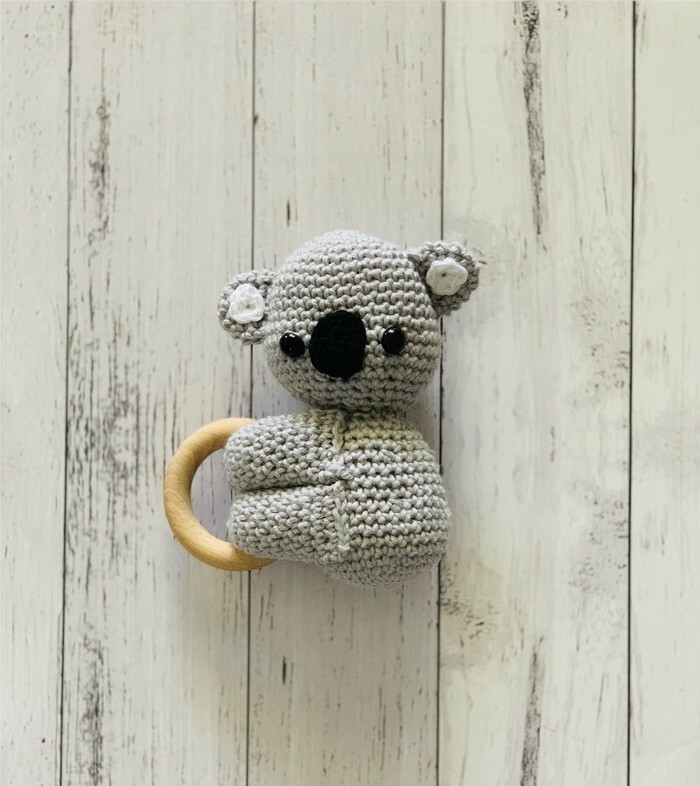 This gorgeous Koala Teething Ring is hand crocheted in 100% cotton yarn. The koala is 15cm tall & features plastic safety eyes. The ring is 60mm and made from organic untreated beech wood that meets AUS/NZ safety standards. Made to order so please allow 2-3 weeks for completion. As with all toys for young children please observe while in use.